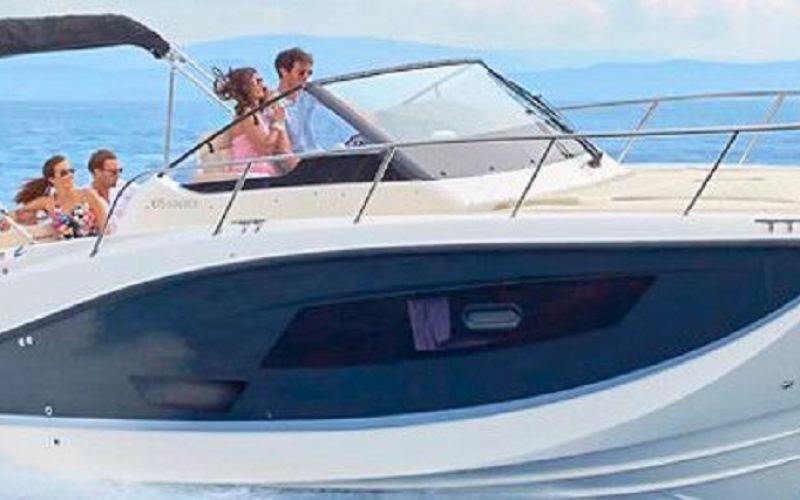 The design of the Activ 875 Sundeck is an aesthetic triumph, providing exemplary room efficiency. Take a look at the steering with the stylish windshield and double seat. Pushing the seat forward you will find a galley with sink, chopping board and barbecue. The available space in cabin is optimally used with a lounge, which turns into the master bunk. The sunlounge of the boat offers enough space for everyone. The cockpit seats can be converted into a 1.9 x 1.6m sun lounge with direct access to the water. The bow area already is a sundeck with fabulous area of 2.25 x 2.25m. This boat category is the absolute top. In the cabin, there is everything else you need, for example the toilet and a shower. 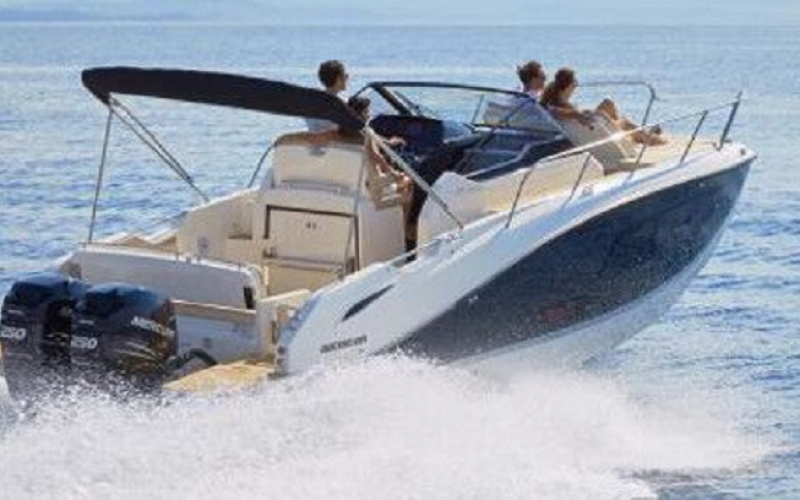 You can invite up to 12 persons for a cruise in the sun or a barbecue on board. Friends are also welcome for a more days trip since the cabin has 4 beds.